Countdown to Restaurant Week: Mangia, Mangia! Italian cuisine, from pasta to prosciutto, ranks high on pretty much everyone’s list of favorite foods. So, it’s no surprise there are a lot of Italian restaurants participating in San Diego Restaurant Week. Cucina Urbana. If you haven’t been yet, here’s your excuse to check out owner Tracy Borkman’s reinvention of the former uber-luxe Laurel in Banker’s Hill as a cozy, rustic yet modern Italian eatery. Their Restaurant Week menu is priced at $30 and includes some delectable dishes like the ricotta gnudi in sage brown butter with Parmesan and amaretti; the short-rib pappardelle with cremini mushrooms; and, for dessert, a seasonal cheese plate, bittersweet chocolate cake or roasted pear crisp. Plus, at Cucina Urbana the savings keep on rolling in. You can buy any wine in their on-site shop at retail prices and drink it with your meal for just a $7 corkage fee. Downtown’s BICE is another relative newcomer to the scene and they put a chic, upscale spin on modern Italian dining. The glamorous dining room makes the perfect backdrop for indulging in impeccably prepared versions of classic dishes and updated interpretations of classic antipasti, pasta and more. Their Restaurant Week menu is priced at $40 with options like polenta and wild mushrooms; homemade Gorgonzola and pear stuffed ravioli; and braised pork tenderloin with pink peppercorn sauce. 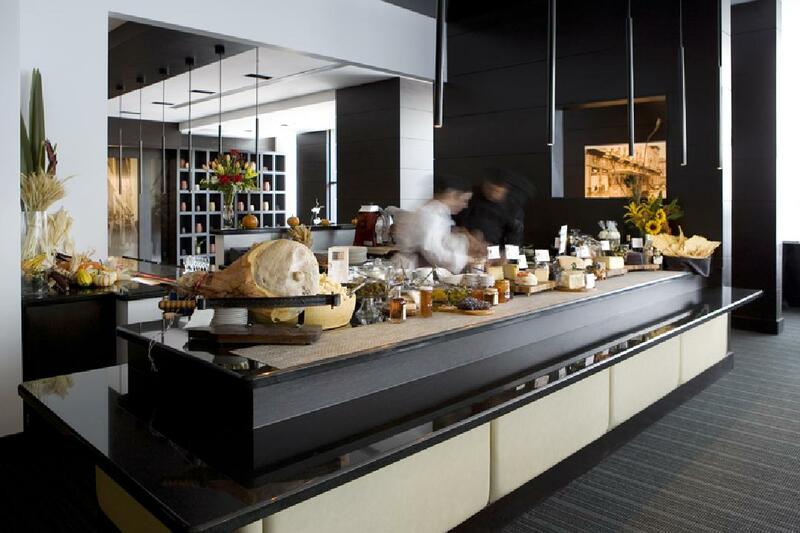 Don’t forget to check out the mouthwatering spread of imported cheeses and cured meats carefully arrayed on the marble-topped cheese bar! Take a seat at Acqua al 2 in the heart of the Gaslamp Quarter and you might think you’ve been transported to Florence. That’s because the restaurant is a tribute to the original Acqua al 2 located just steps from Florence’s bustling Piazza della Signoria. Luckily, you don’t need a plane ticket to enjoy the creative Tuscan cuisine and warm, gracious hospitality. During Restaurant Week, you don’t even need a fat wallet since their Restaurant Week menu is priced at $40. Just keep your eye out for off-duty Padres players who have made Acqua al 2 their regular hangout. Which Italian restaurant is tempting your tastebuds? San Diego Restaurant Week is only 13 days away, make your reservations today! This entry was posted in Culinary, Insider Tips, San Diego Events and tagged bankers hill, countdown, deals, dining, downtown, restaurant week by Kate. Bookmark the permalink.